Speaking primarily to the DVD, the sound quality is nearly substandard and the video is simply 8mm footage transferred to digital format as best as possible. What's more important is the images that are captured, notably of the bands and the concert goers. To the former, the band's appearances and performances straddle between lucid and lively to nearly rote and mechanical which was probably more or less affected by the abundance of chemicals and herbs available. An available they were as you can see from images of the audience freely smoking marijuana and hashish. There's also an abundance Sixties sexual libertarianism going on as both men and women were walking around and swimming, in the nearby lake, naked. Again, with these references, comparisons to Woodstock are inevitable. Speaking to some individual performances, nothing captures the era, the Sixties counter-cultural revolution, better than Jefferson Airplane doing White Rabbit. While it's one of the best sounding recordings here, it's also one of the most rigid: playing the record over the loud speakers could have trumped it. Perhaps the most interesting performances from the festival come from the young Pink Floyd. It's the band sans Syd Barrett performing during their A Saucerful of Secrets and Ummagumma period, and prior to the universal success of Dark Side of the Moon. The recordings here are Set the Controls for the Heart of the Sun and A Saucerful of Secrets, both of which are largely instrumental and come of as massive prog rock jam sessions. 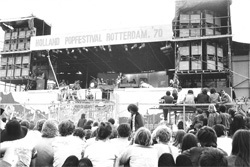 It's hard not to miss the significance of 1970's Holland Pop Festival as a picture of pop culture history, especially for Europeans. 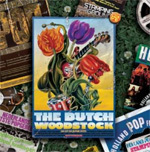 Considering the cultural and musical statement that the American Woodstock made, making their own at the Dutch Woodstock seemed rightfully compelling. 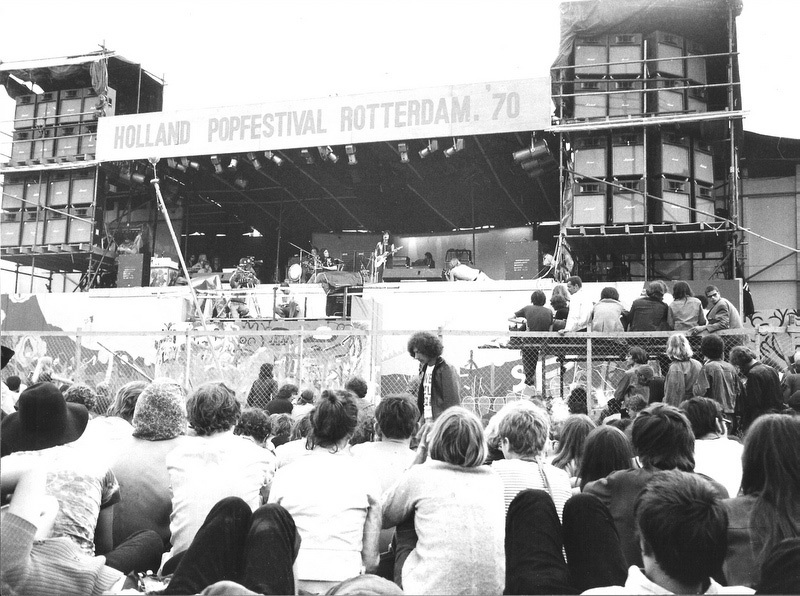 The Holland Pop Festival of 1970, aka The Dutch Woodstock, mimicking the American version, is an important piece of European pop culture and musical history.